Size: approx. 5-10 mm. Photo: 08/01/11, noon. I hope that I will see this strange little fly again soon. The quality of this photo is rather poor. I also confused it for a fruit fly. 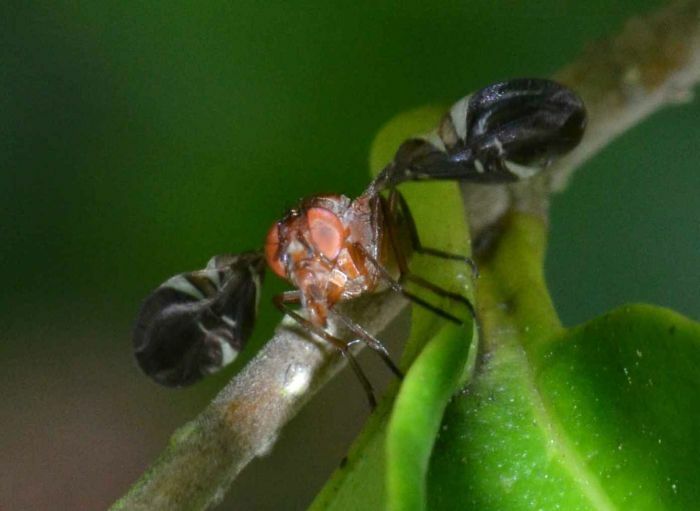 Anyway, it's a Picture-Winged Fly (Delphinia picta) (sometimes also referred to as Camptoneura picta). The fly tends to move its wings in a peculiar rowing motion as it stands still or walks slowly.